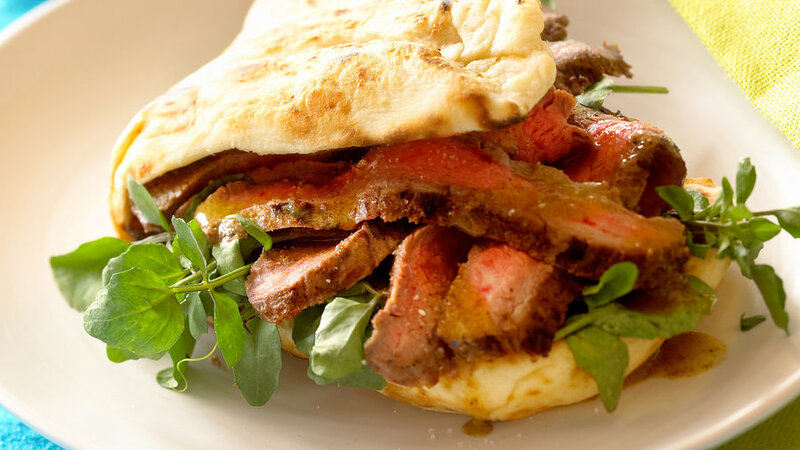 If you like a good roast beef sandwich, then this dish is for you. 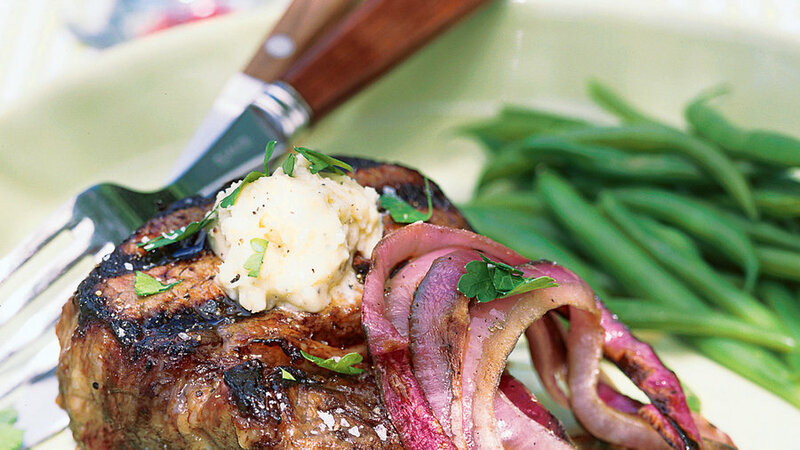 The horseradish acts as a seasoning on the steak, adding just the right amount of flavor. 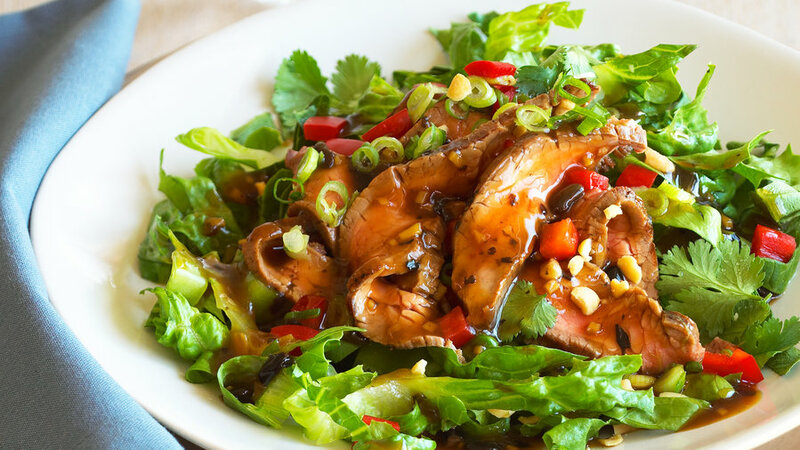 Served alongside the grilled mushroom salad, what's not to love? 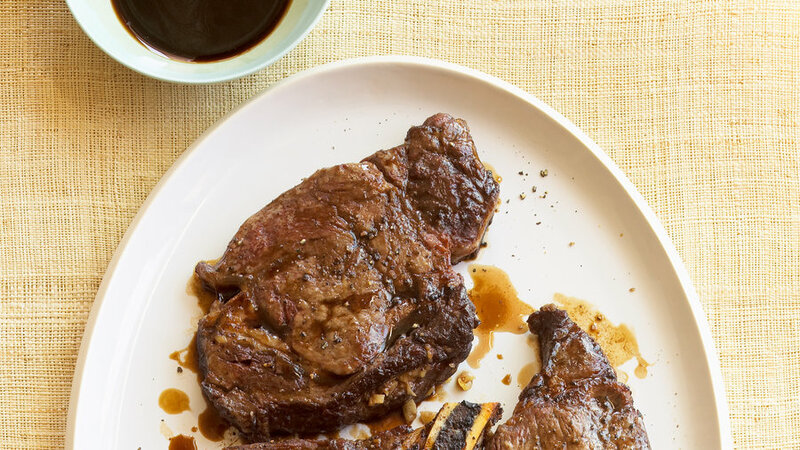 A simple drizzle of balsamic vinegar and soy sauce takes ho-hum grilled steaks to another level. Serve with crusty bread to sop up extra sauce. 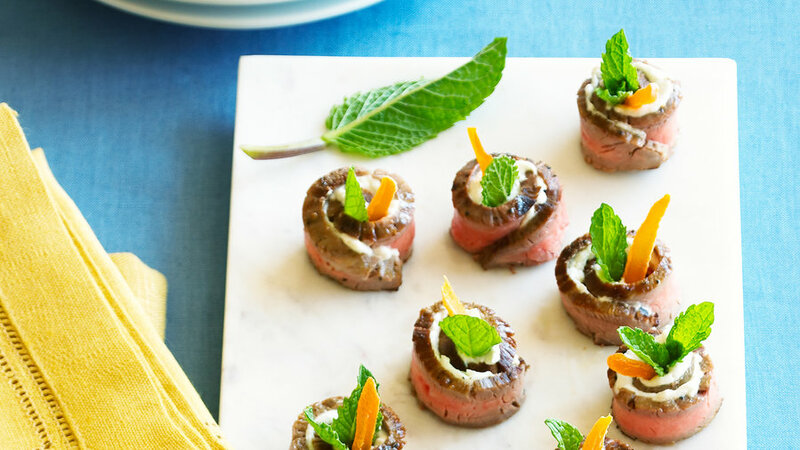 Sweet, savory, and creamy elements make this an hors d'oeuvre to remember. 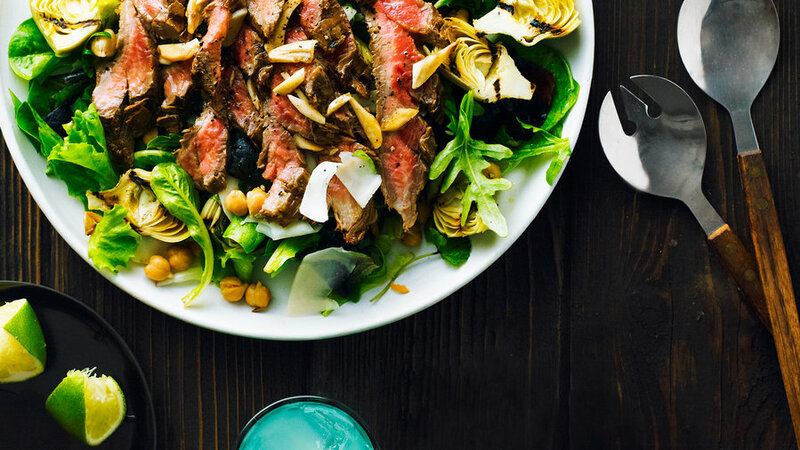 We've updated the classic steak salad with a sweet and salty dressing of soy sauce, black beans, sherry, ginger, vinegar, and brown sugar. 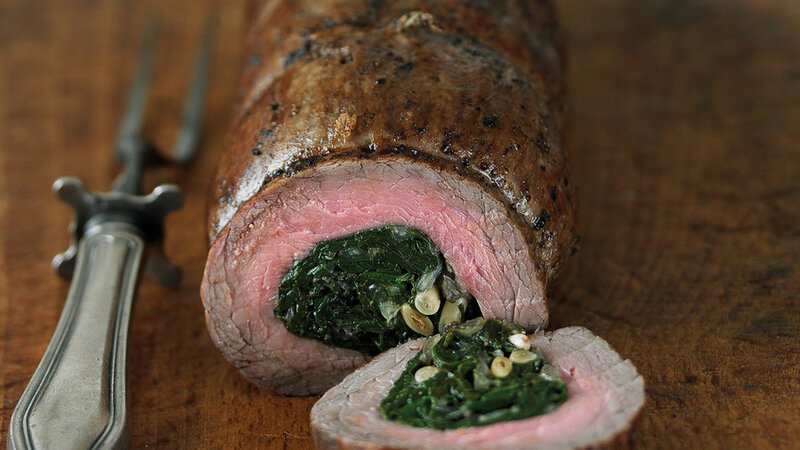 The contrast of seared steak filled with greens makes a striking duo here. The roll can be assembled a few hours ahead of time, making this a nice meal for entertaining or a weeknight dinner. 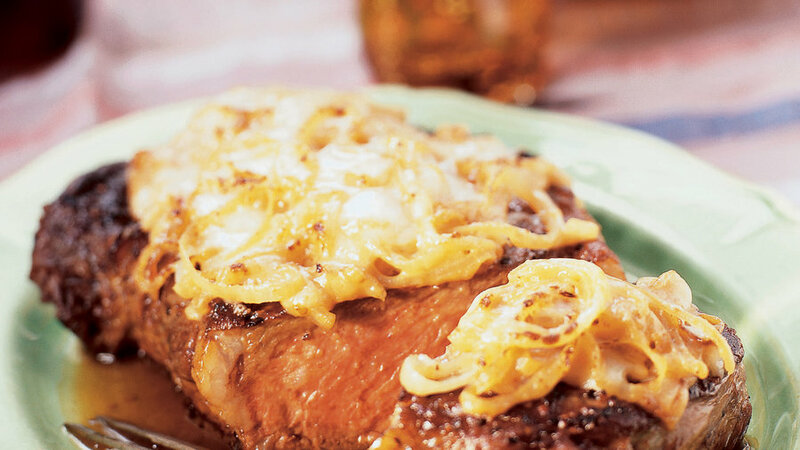 You can prepare the French onions up to a day ahead or start them just before the steak. 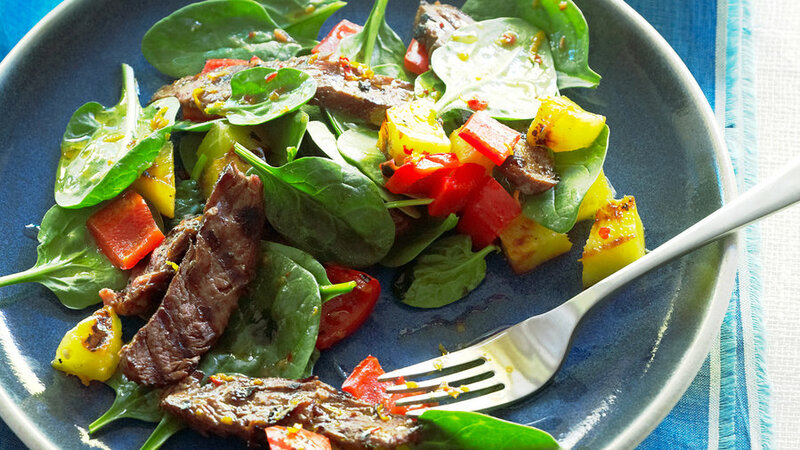 Using both fresh and smoked jalapeños (chipotles) gives this version of chimichurri, the Argentinean steak sauce, lots of flavor without being wildly spicy. Garlic harvested before the bulbs mature flavor this main dish. Buy it at farmers' markets and Asian grocery stories, or substitute with green onions. 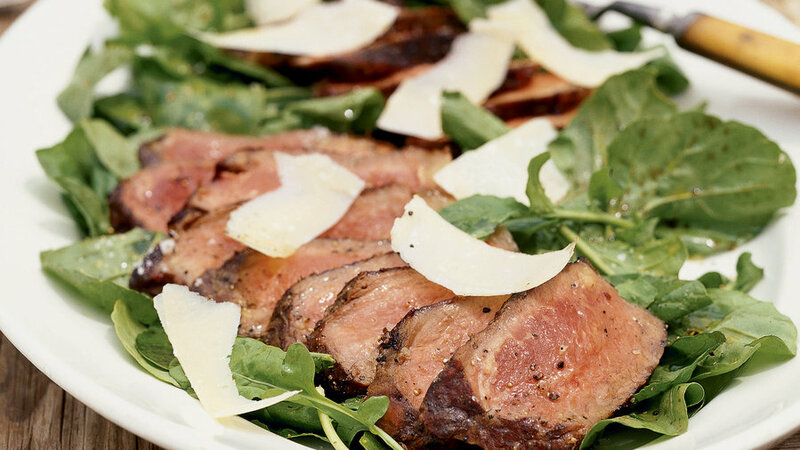 Serve slices of steak with a fresh green salad or favorite summer vegetable. Necessity is the mother of great inventions―definitely true when it comes to this tasty recipe, created by a mom in a hurry who wasn't willing to sacrifice taste. 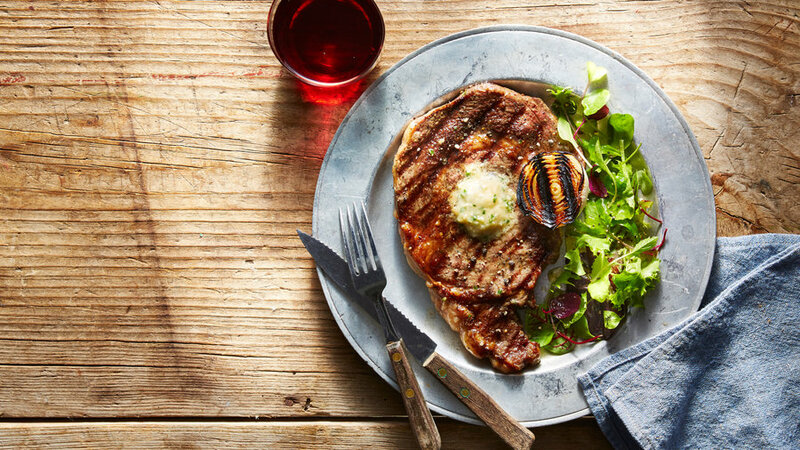 Weekends call for a nice grilled steak. An easy miso butter makes this indulgence even more special. 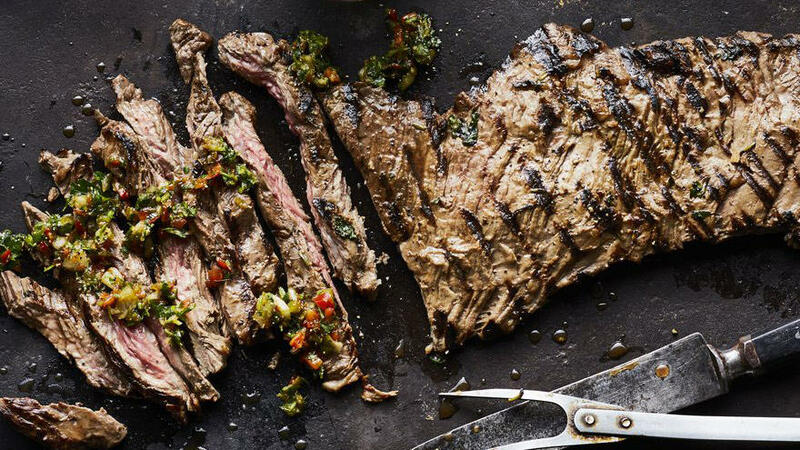 Chimichurri is a tangy herb paste that's used as both a marinade and a sauce. 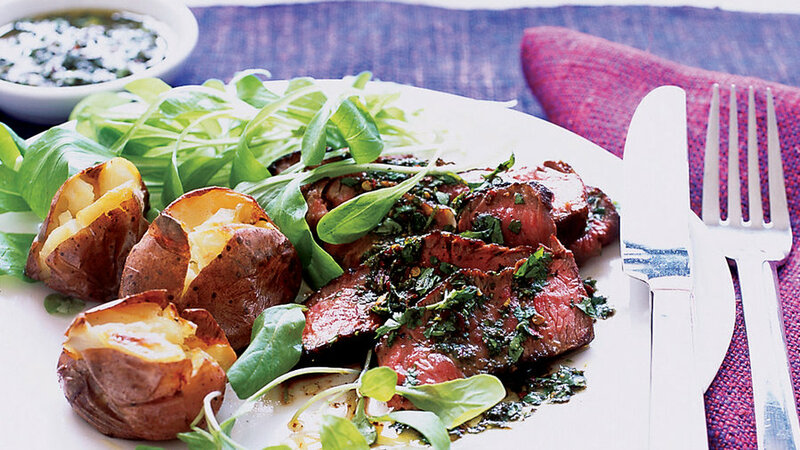 Here, cilantro replaces traditional parsley in the topping for these flavorful rib-eye steaks. 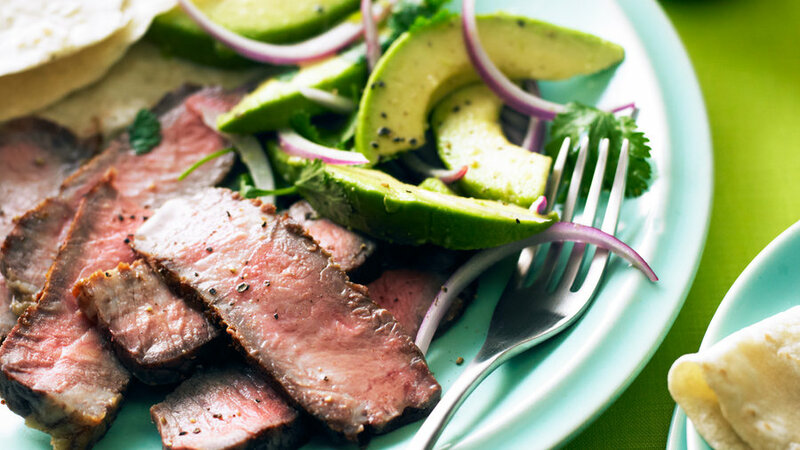 If you start the steak marinating the night before, you can have this Mexican favorite ready in half an hour or so. No need to be alarmed about all the garlic; the OJ and soy sauce mellow it out. 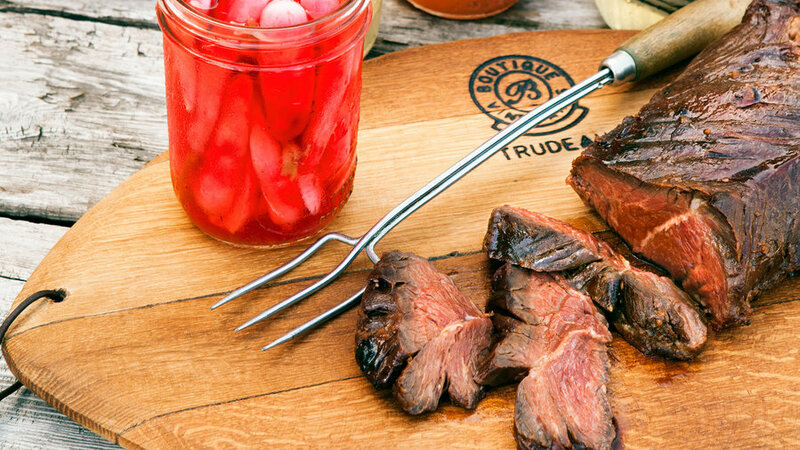 Who needs a steakhouse when you've got your house? 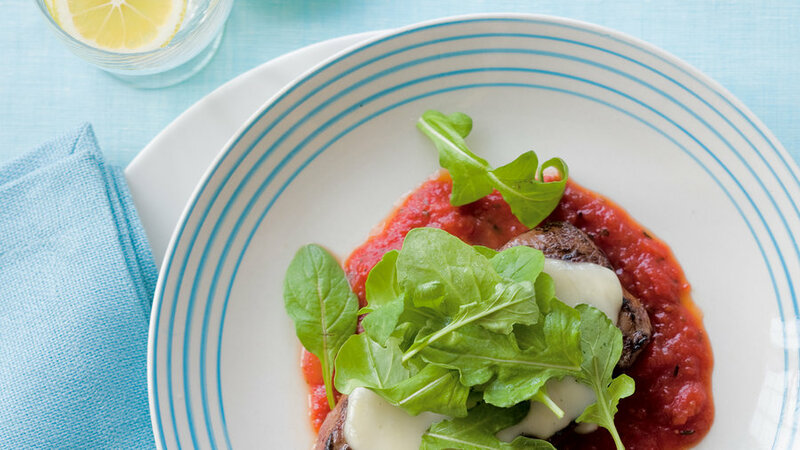 Picture it: The finest filet mignon, smeared with decadent blue-cheese butter, grilled in your own backyard. A ritzy night out, for the price of the ingredients. We'll take two. 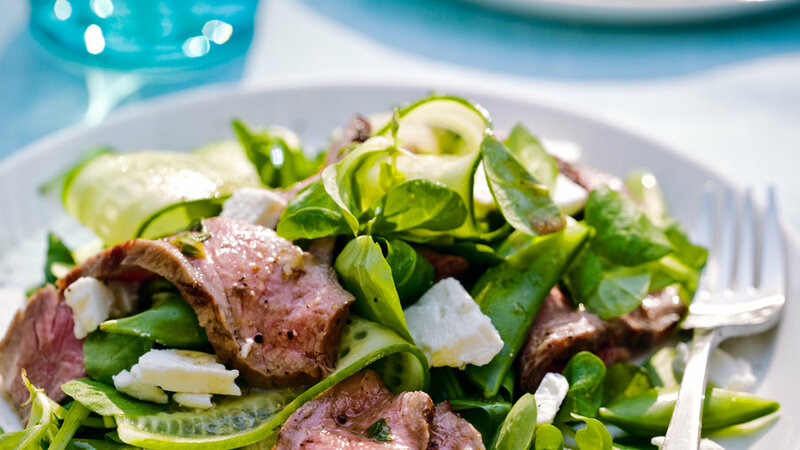 This showstopper salad gets a fancy touch with grilled New York steaks, and fresh mint leaves from your garden set off the feta. 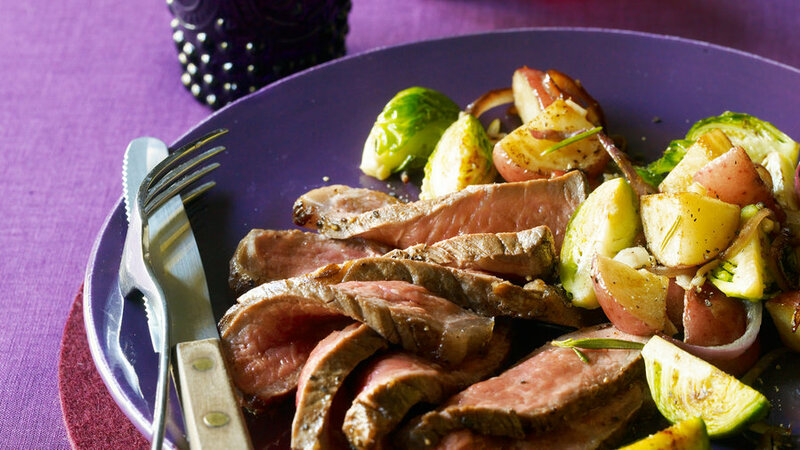 With the accompanying Brussels sprouts and potatoes combo, sliced steak becomes a complete meal. This splurge-worthy combination comes together in just 30 minutes. Long, slender clamshell mushrooms have a great creamy texture, but if you can’t find them, use small cremini or chanterelles. 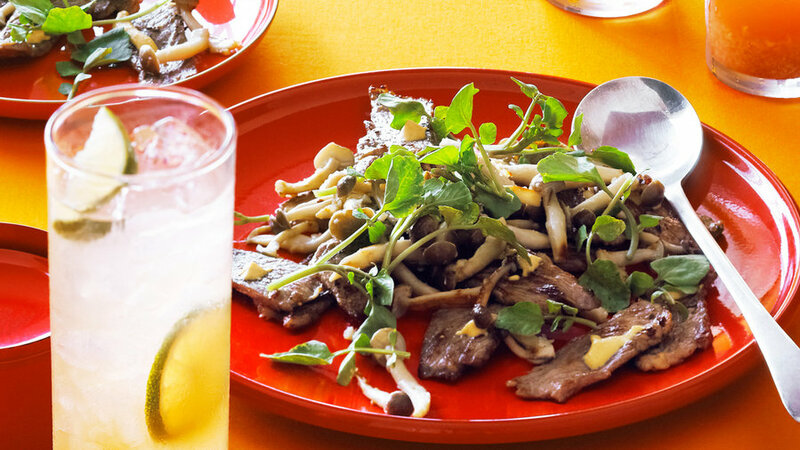 The ingredients for this easy Sunset reader recipe, inspired by a Brazilian restaurant, are a nod to that country's immigrant Asian population. 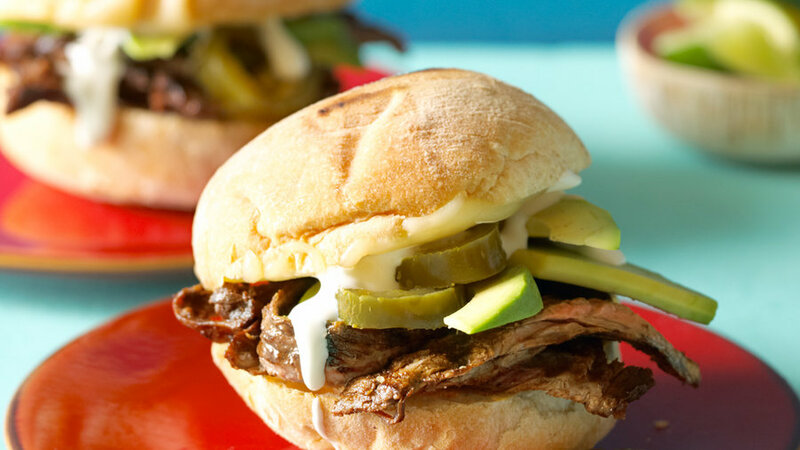 A four-bite version of the classic Mexican sandwich. 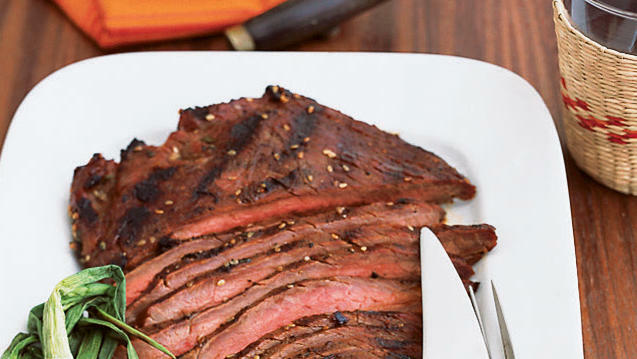 We used flap meat, a thin steak that marinates and grills quickly. 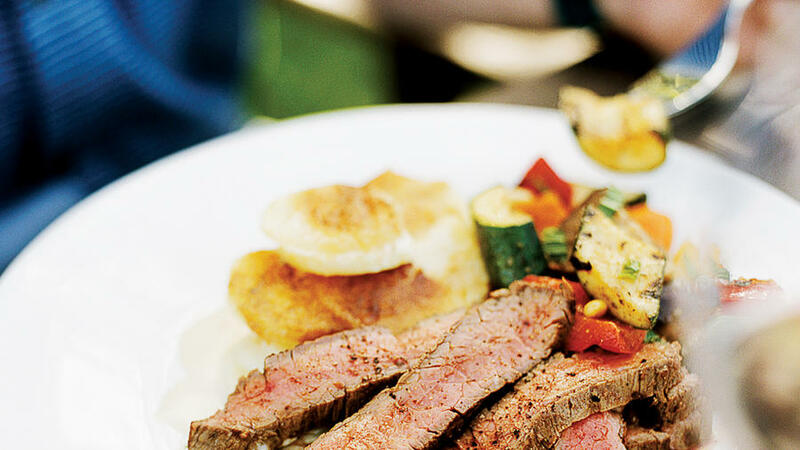 Sometimes you just have to give in to a cliché: What could be better than a good steak and a glass of Cab? 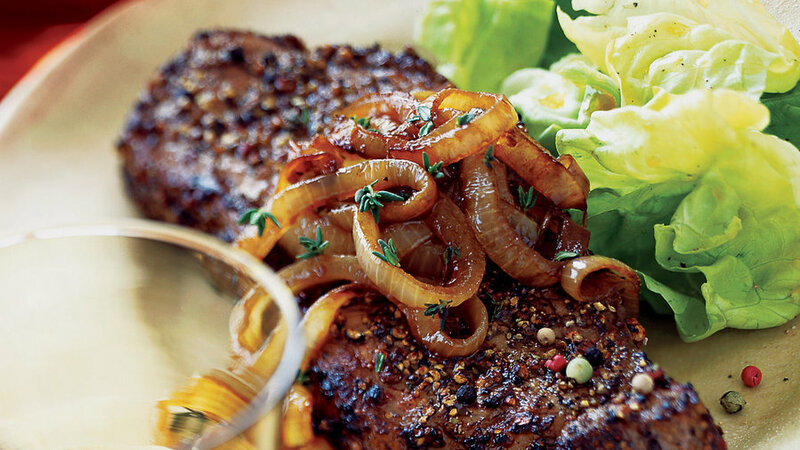 Only a good steak coated with crunchy-hot pepper and loaded up with tangy balsamic onions. 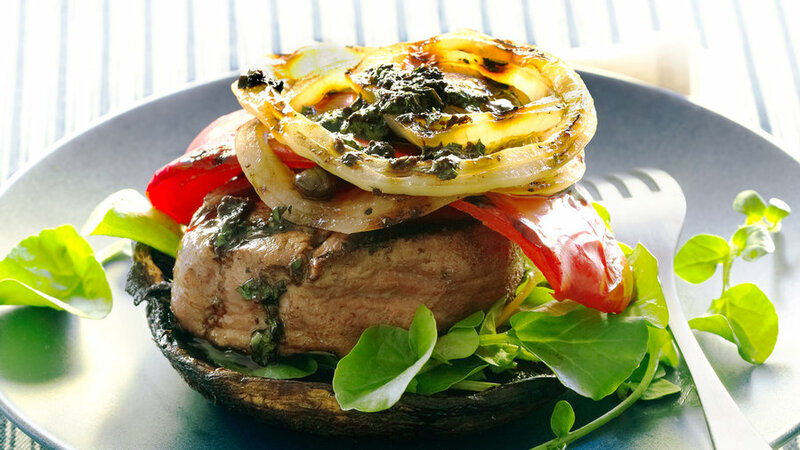 This super-simple dinner is doubly meaty thanks to the juicy portabellas. Buy a block of parmesan cheese larger than needed (at least 4 oz.) so you can shave curls from it. 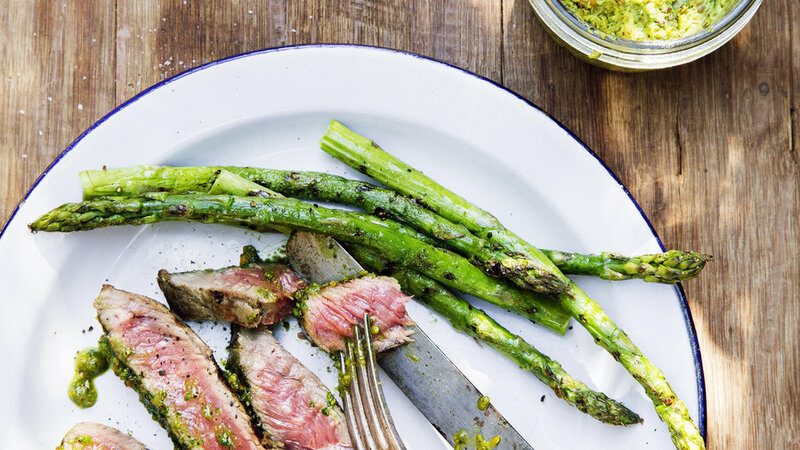 Drizzle the steak with a Tuscan or other peppery olive oil. The flavor in this dish just doesn’t stop. 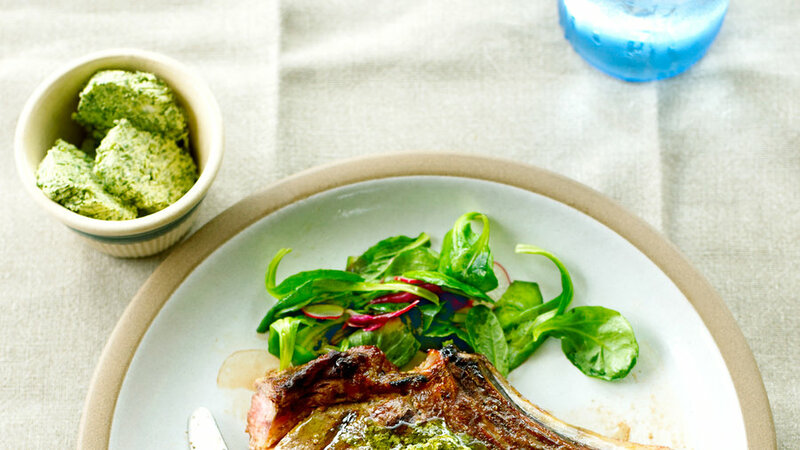 The sharp, slightly herby marinade tenderizes and flavors the meat and makes a great bridge to the chimichurri. 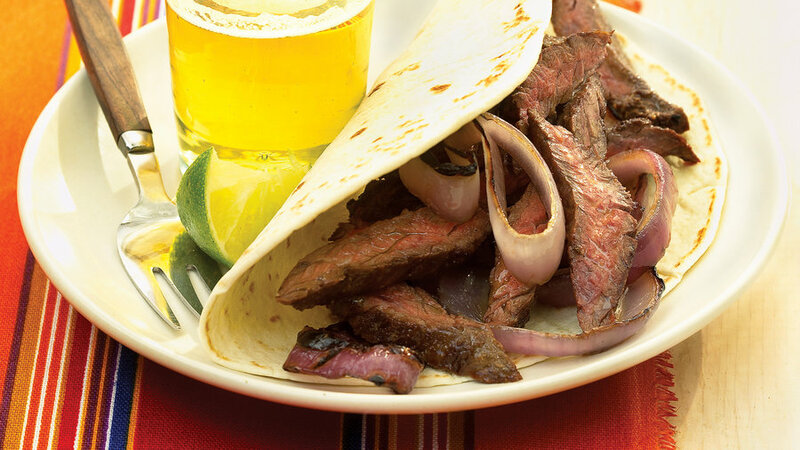 You can eat the steak, salad, and tortillas separately, or wrap them up fajita-style, maybe with a side of black beans. 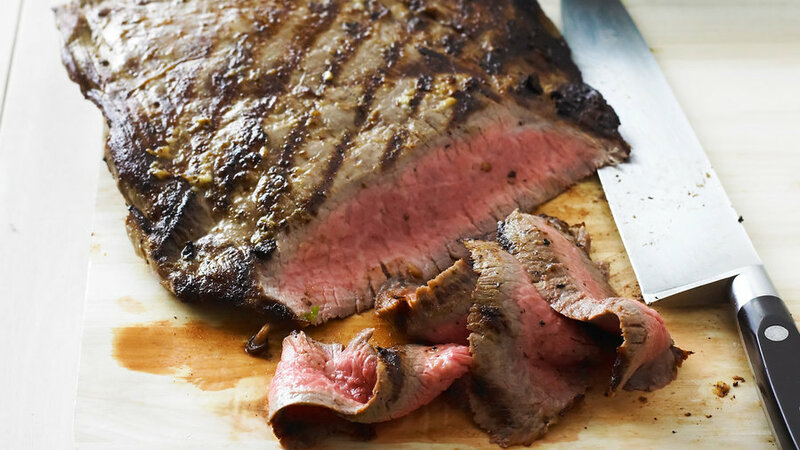 Hanger steak is very flavorful but can be a little chewy; for maximum tenderness, don’t cook it past medium-rare, and slice it against the grain. This dish requires some multitasking, but the benefits of creating something this delicious in only 30 minutes are well worth the hustle. 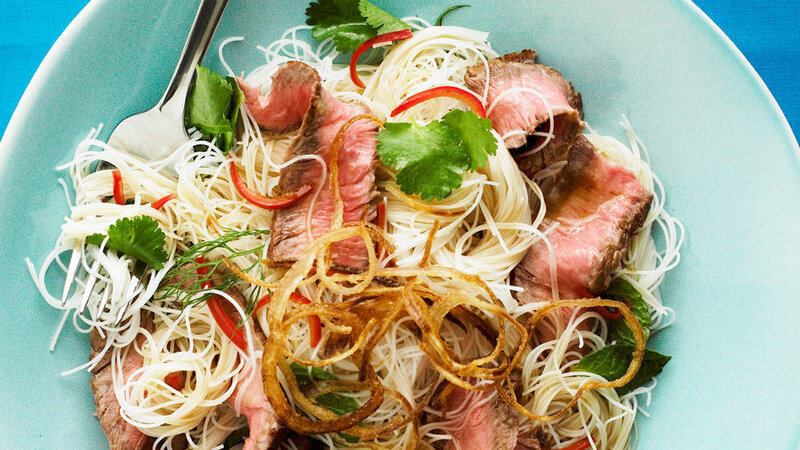 If you're entertaining friends, take a more leisurely approach and make the dressing, cook the noodles, and clean the herbs ahead; then at serving time, just cook the steak and combine the ingredients. 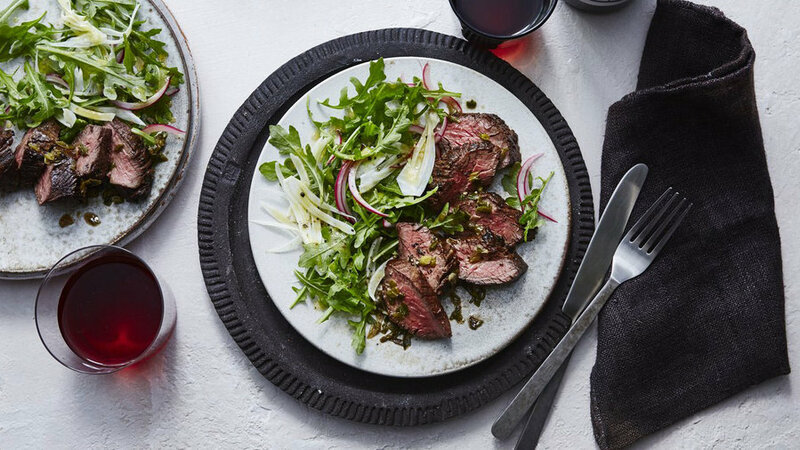 The heat of the steaks melts the fresh mozzarella and the greens add a peppery bite in this dish that is perfect for special occasions and weeknights alike. 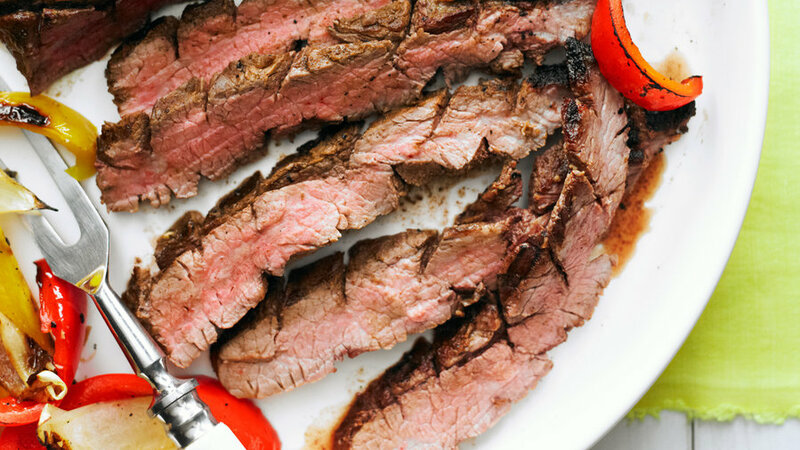 Grass-fed beef is generally leaner than conventionally raised beef, so it cooks a little more quickly--you'll need to keep an eye on it. 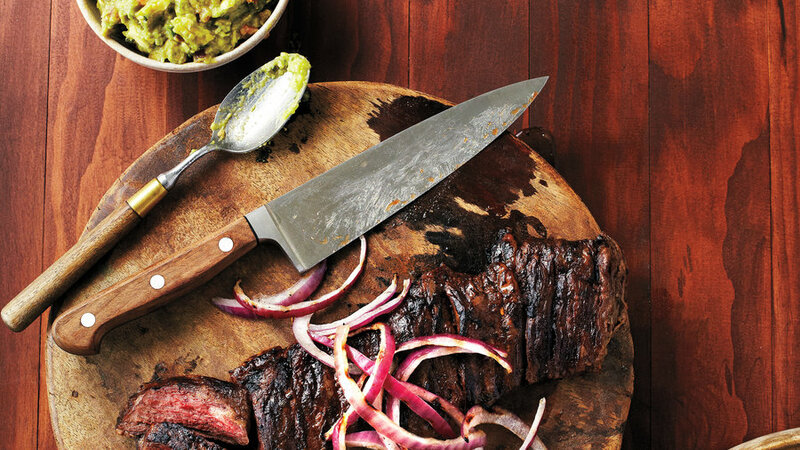 Here's our go-to recipe for perfectly seasoned carne asada. After a one-hour marinade, it's ready for the grill. 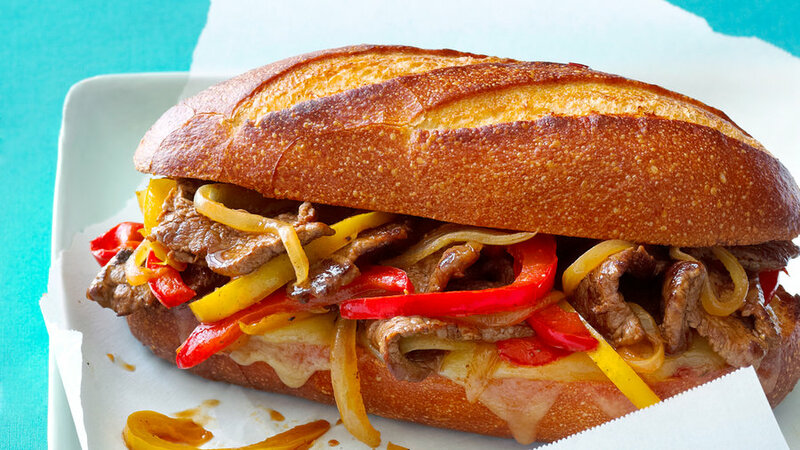 Who says Philly owns the cheesesteak? Our version is not only tasty, but it will also feed a crowd. 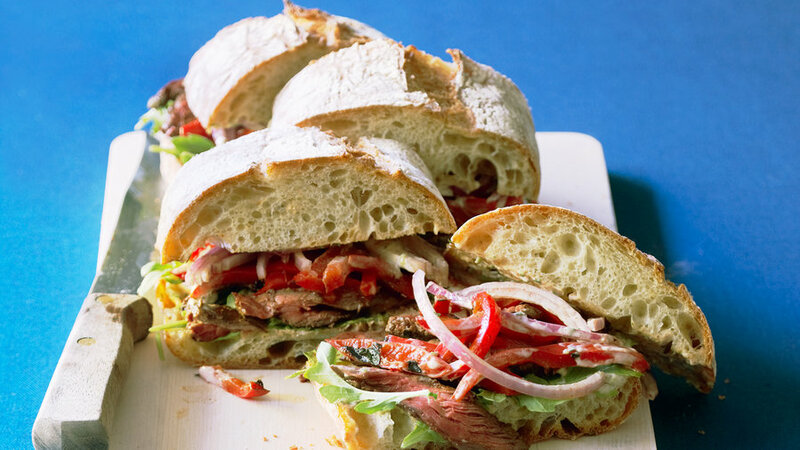 Make one big steak sandwich in a ciabatta loaf, then cut it into slices. Break out your favorite bottle of Syrah. 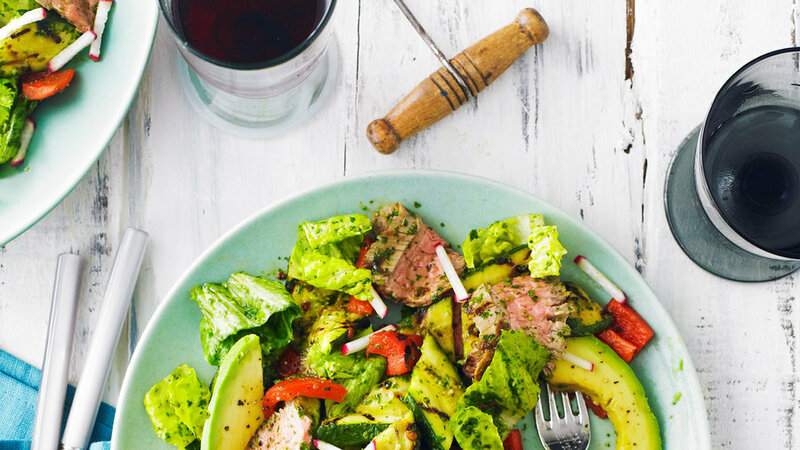 This two-part recipe—grilled, marinated steak and a grilled late summer vegetable salad—were designed especially for it.